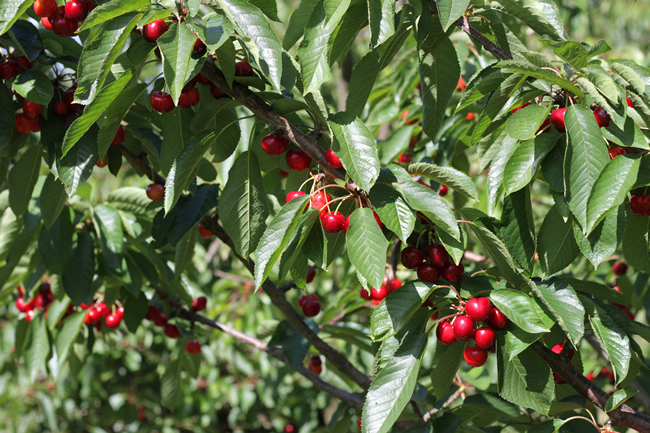 Christmas is the time for cherries in our neck-of-the-woods and recently while researching an article for Organic Gardener Magazine I was lucky to be able to visit Trevor Holmes at his Red Hill Cherry Farm. Trevor has been growing cherries here for more than 43 years (the oldest pick-your-own in Victoria) and as we wandered around the farm looking at various cherry trees we discussed cultivars, pruning, frosts, organics and biodynamic BD 500 mix. 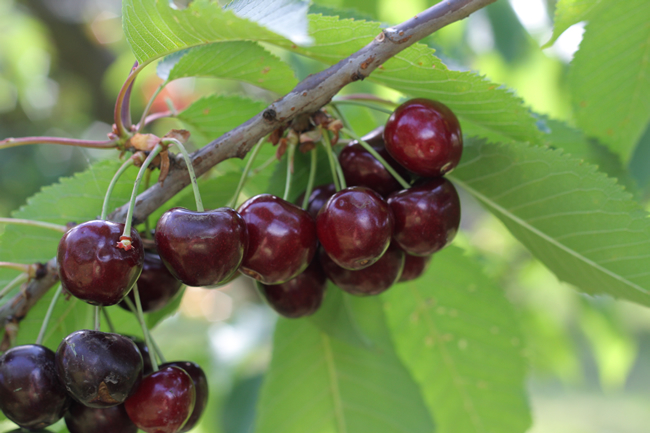 I went back again today to take photos of ripe cherries and as well as to buy some cherries to take home. This time I was able to taste some of the cherries. The flavours vary a lot depending on the cultivar, and the degree of ripeness. 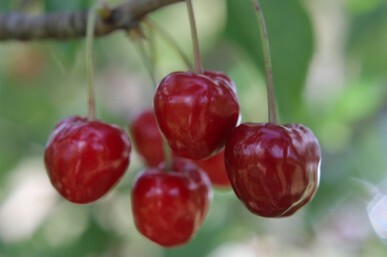 My favourites were the crunchy textured ones with a bit of bite (not too sweet) like Stella and Van. The heritage Williams Favourite is more acid but delicious. It developes an odd, lumpy look as it ripens. Unfortunately the sour morello cherries were a few weeks away from ripening so I couldn’t taste those. 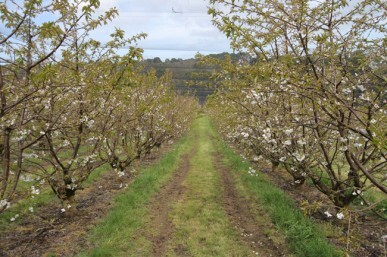 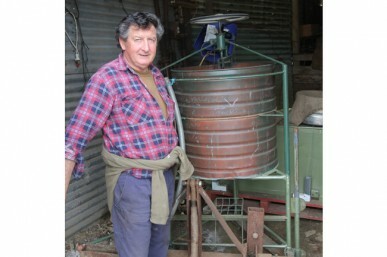 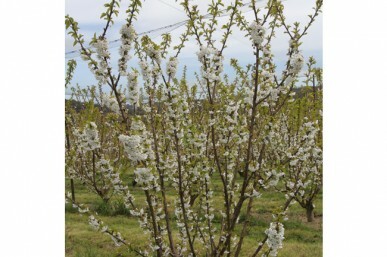 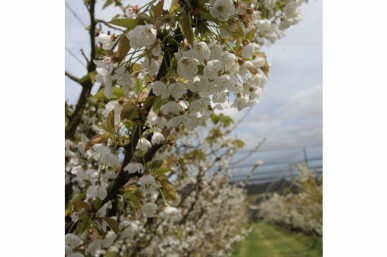 Red Hill Cherry farm is ‘pick-your-own’. 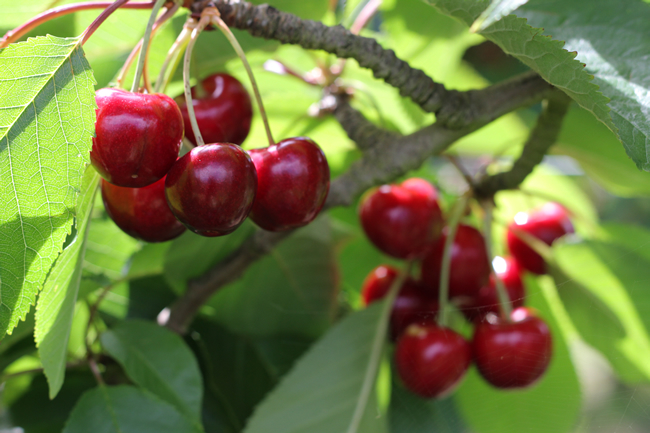 They charge you to pick, to cover the cost of the cherries they know you will eat, and then you pay less for the cherries than you would if you just bought them from the little shop. It’s a lovely day out in a beautiful area and the following pictures will give you an idea of a few of the more than 20 different cultivars that Trevor grows as well as an idea of what they looked like in flower in spring. 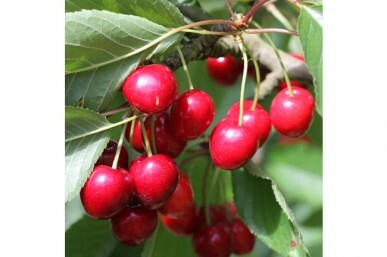 Cherries will be available to pick from now (early December) until mid January, and maybe a bit later, depending on the season. 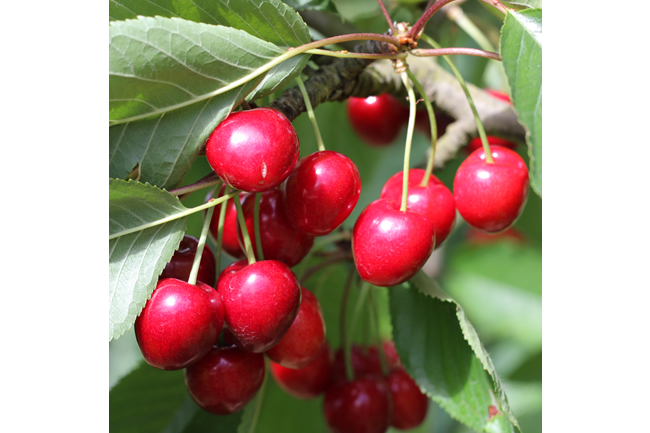 And if you are after the sour morello cherries, you will need to wait until the new year (early January). 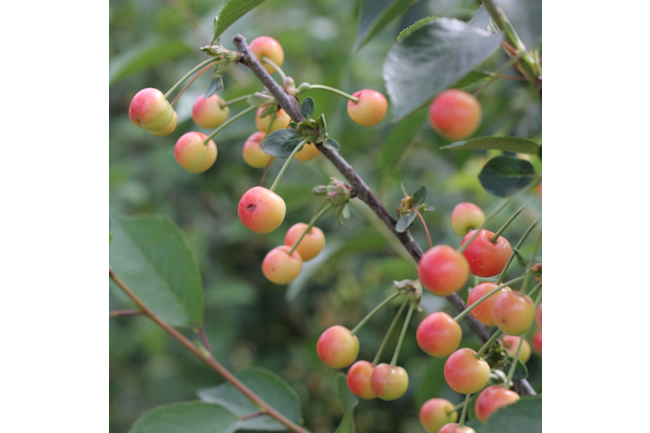 If you want to learn how to grow your own cherries, then pick up a copy of the most recent Organic Gardener Magazine where I have covered this in depth. Copies are available either from your local newsagent, or from the ABC shop, or if you want the digital version go to Zineo. 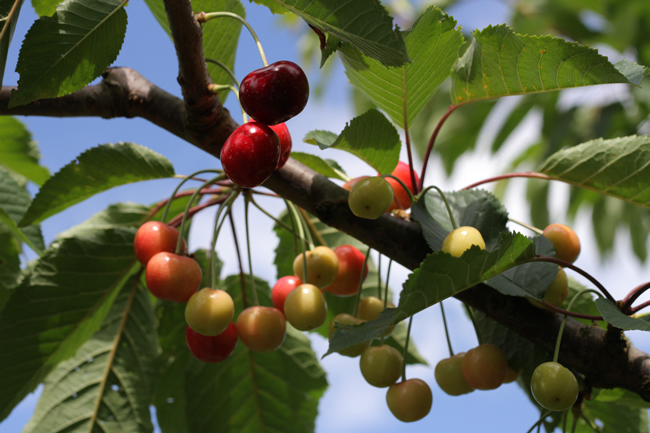 You’ll know you’ve got the right edition as it has cherries on the cover!